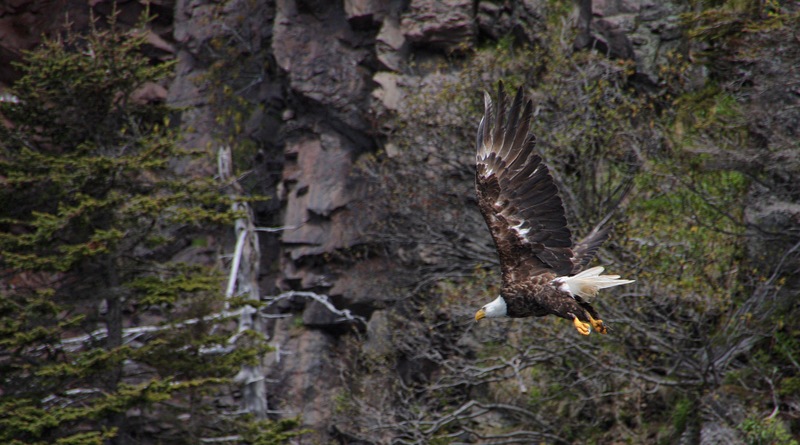 A visit to Newfoundland has been on my list of things to do – not really a bucket list since I may just do it more than once before I kick – and with the Canadian dollar in the doldrums this year I thought it was time. Although the weather in early June was chilly and wet and foggy, I had a very wonderful atmospheric holiday, seeing puffins, whales, icebergs and my friends Glenda and Marshall Godwin, all natural Newfie phenomena. Here are just a few of my photos. Sometimes we are drawn to BIG. BIG tends to get a lot of attention. I have been awed by the expansive views over the Rift Valley in Africa and can never capture that image in a photograph, no matter how hard I try. I went on the whale watch, hoping to get the photo of a humpback fluke dripping water as the whale started to dive. Elephants and hippos are hard to ignore and have an appeal that is unmistakable. Last month I was visiting friends in Nova Scotia. 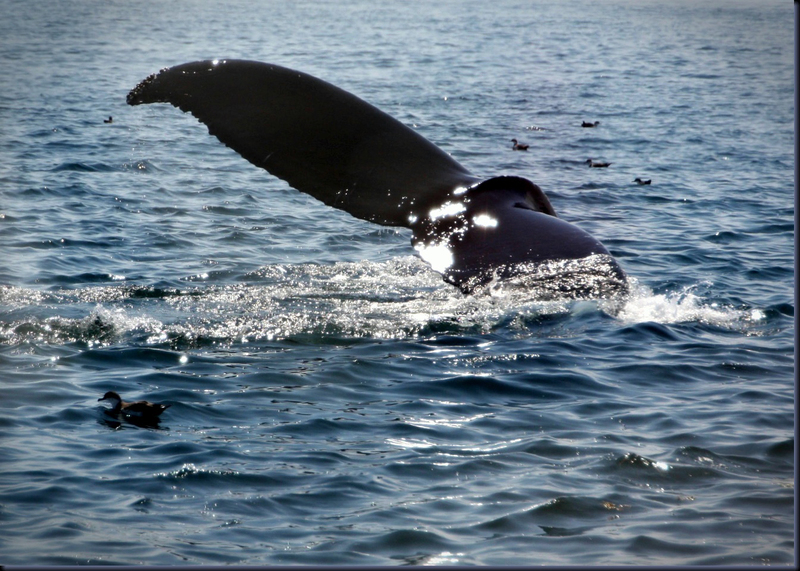 One of my missions was to go whale-watching on the Bay of Fundy. The Humpbacks there are plentiful in July, having come over 2000 km from the Carribean to feed on the plankton and krill that populates the Bay during our summer months. You would think that a 40-ton mammal that is longer than a fishing boat would not be that hard to miss. But in the Ocean, this huge creature is small and takes some searching to find. BIG and little – it is all relative. And what sustains these huge mammals? Some of the tiniest organisms in the sea. 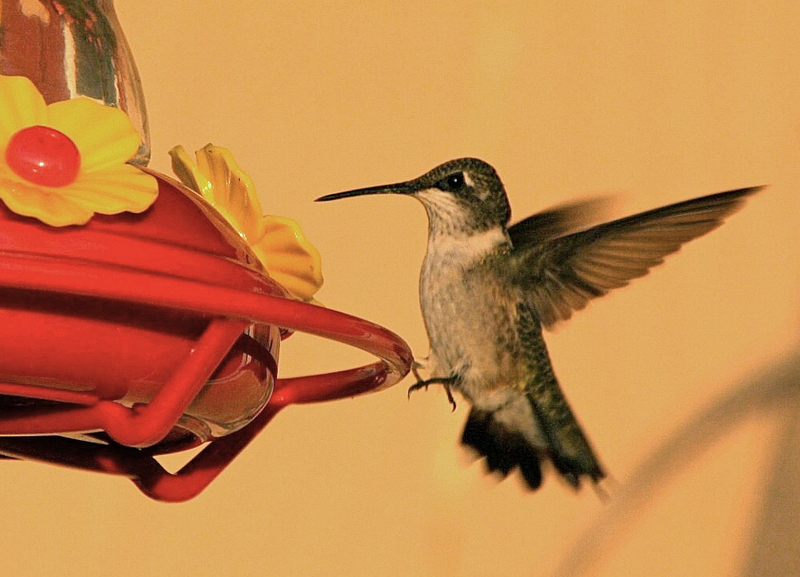 Watching several humming birds flit among the flowers and feeders at sunset was a treat. Well, I did see the whales and, yes, they were impressive. But that same evening I got as much thrill photographing six hummingbirds that were feeding in the warm, waning sunlight. Standing in silence by the feeder and flowers, I was able to marvel at these little birds, peeping and whirring from flower to flower, their delicate wings cycling so fast I could not see them. 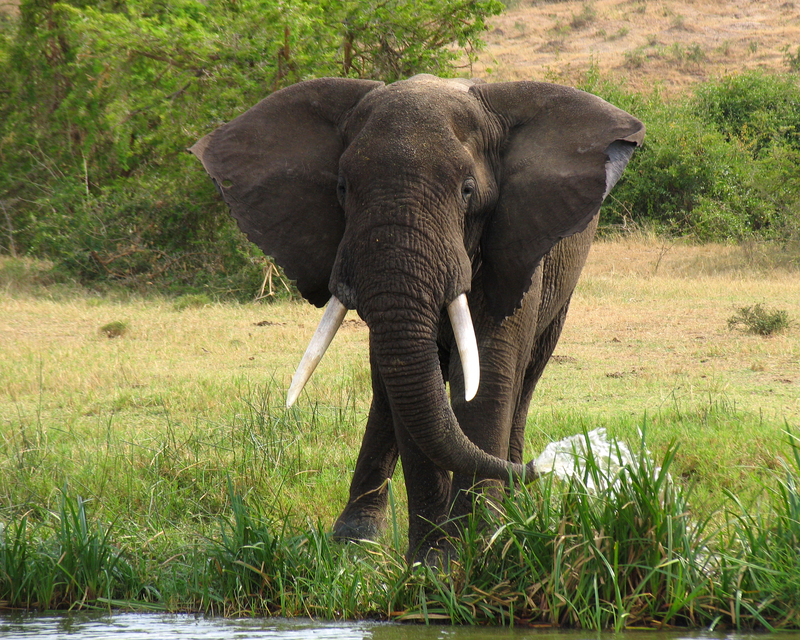 An African Elephant along the shore of Lake George in Uganda. 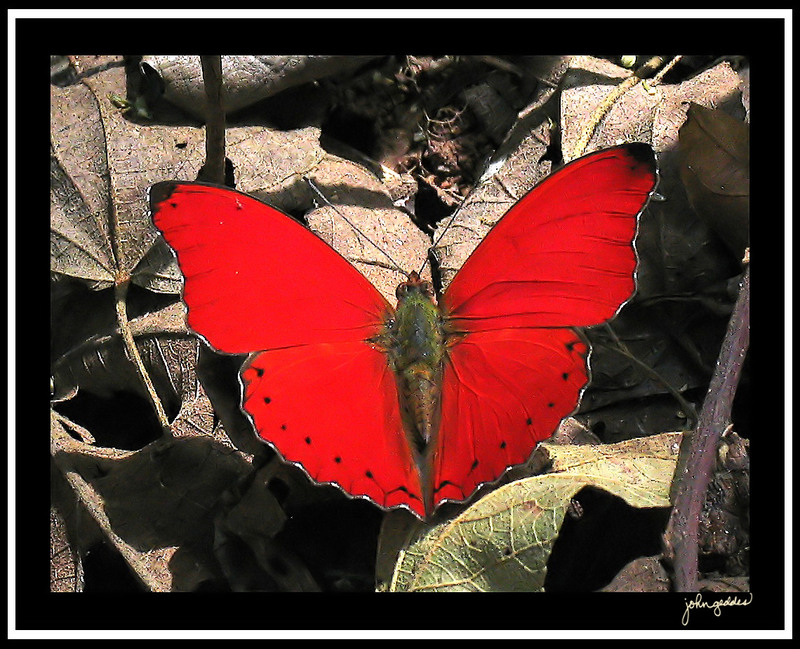 While staying near the Kibale Forest in Uganda, I spent a couple of days chasing down a red butterfly that was skimming up and down the forest path, ever elusive. It was more of a challenge to get a good photo of this little creature than it is of larger African animals. BIG things tend to inspire awe and attract attention. Contemplating the vastness of the universe can be overwhelming but the recent discovery of the sub-atomic Higgs boson particle also drew a lot of notice. The little things in life sometimes need to be sought out but, once found, can be just as amazing as the BIG ones.